With Chelsea’s move for AS Roma’s Edin Dzeko being rebuffed by the Serie A outfit, the Premier League champions are supposedly vying to capture Arsenal hit-man Olivier Giroud in order to bolster their depleted attacking regiment, although according to a report published by The Sun, the Blues will have to meet the Gunners’ £35m valuation. 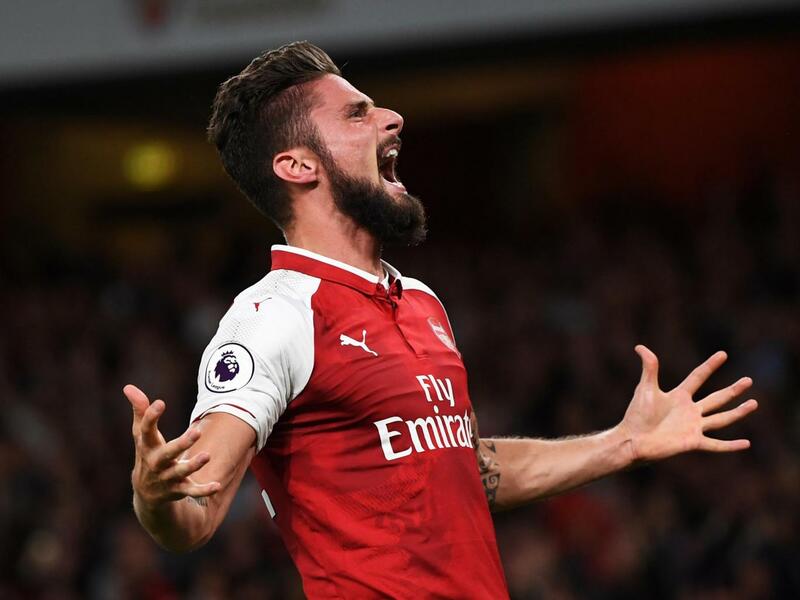 It’s believed that the north-Londoners are willing to let the Frenchman leave the Emirates during the January transfer window to raise more transfer funds, but as Giroud is striker with many desirable traits, Chelsea will seemingly have to stump up a substantial figure to secure his signature. Arsenal have been locked in negotiations with Borussia Dortmund over the availability of Gabon international attacker Pierre-Emerick Aubameyang, although with two initial bids allegedly worth £45m and £50m being palmed aside by the Bundesliga club, Arsene Wenger may have to break the bank, as it’s believed that a final figure of £60m has been pinned on the 28-year-old’s head. It appears that Chelsea, given the recent absence of Alvaro Morata, are scrambling to land a new striker before Wednesday’s transfer deadline as relying on Michy Batshuayi – who has struggled to unearth consistency in his game this term – is simply not sufficient enough for Antonio Conte. A focal point is what Conte desires, and though Giroud may not be the most dynamic of strikers in the modern game, he undoubtedly knows how to win titles and accolades – with 3 FA Cup medals tucked firmly under his belt, the 31-year-old is surely hungry for yet more glory, and Chelsea’s Italian boss will presumably want to utilise his appetite for success at Stamford Bridge. But, ultimately, the prospect of Giroud making a late January jump to south-west London hinges on Arsenal’s proposed mid-season acquisitions. Wenger shed some light on the matter to the media, and despite his fellow countryman’s immediate being left to hang in the balance somewhat, ‘Le Prof’ insists that he is still an integral member of the fold. “I have a constant dialogue with Giroud and he can only leave if someone else comes in.” He said. Share the post "Chelsea must meet £35m valuation to land Arsenal hit-man"